Growing tired of music while walking on my treadmill, I recently downloaded the iTunes University app. Oh my - I was like a kid in a candy store! The free lectures and courses are truly mind boggling. Have a lovely, inspired Monday. 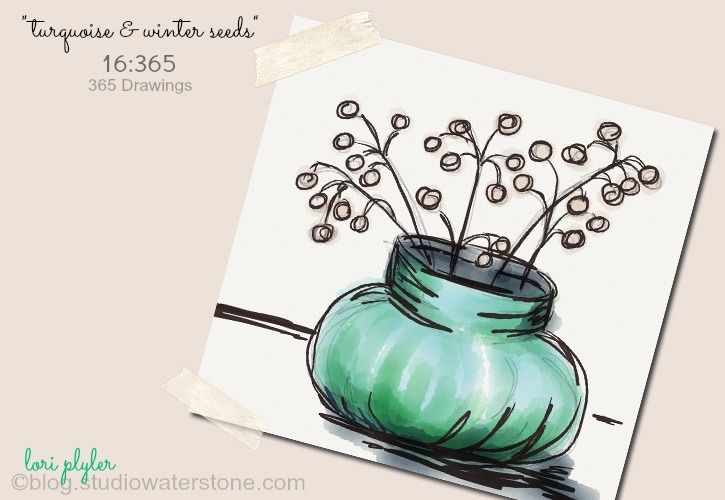 Just love the simplicity of this drawing, Lori, and the wonderful springy green. As always, so nicely done. I love hearing that someone else isn't necessarily entertained by music all the time while exercising. That is not common - at least in my community. But I get bored to TEARS by music and would rather see and hear a good lesson. Good idea. Lori, you find the best apps! I love the video, the seal just wanted the photographer to eat a penguin,:) what a show of kindness, caring and love!